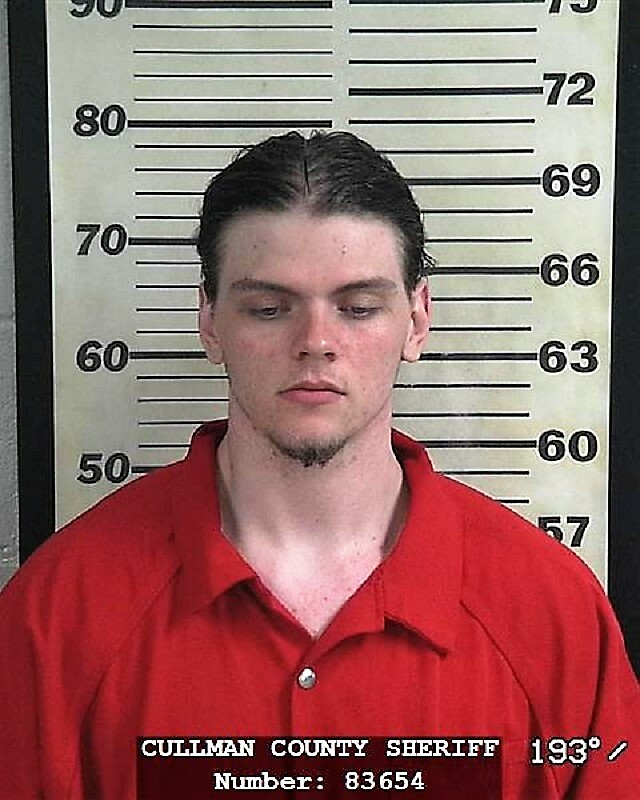 CULLMAN – On Tuesday afternoon, Andrew Maresh, who was arrested with Tyler Hudson in March for the murder of Daniel Ray Osborn, Jr., saw his motion for youthful offender (YO) status denied by Circuit Judge Martha Williams. Hudson also applied for YO status and was scheduled for a hearing at the same time, but his hearing was postponed until a later date, in part to keep the two defendants from being transported together from the Cullman County Detention Center to the courthouse. At the time of their arrests, Maresh was 19 and Hudson was 20. Defendants who are younger than 21 at the time of the offense with which they are charged can qualify for YO status, but courts have discretion in their decisions under Alabama Code Section 15-19-1. YO status focuses on rehabilitation of the offender, and keeps the crime off the offender’s public record, even in the case of a conviction. If a defendant qualifies as a YO, the penalty of a guilty verdict can be significantly reduced, with prison sentences not to exceed three years. YO requests often consider the defendant’s prior criminal history, role in the offense, seriousness of the offense and potential for rehabilitation, among other factors. At the time of his arrest, Maresh was out on bond in an unrelated drug case involving possession of marijuana and alprazolam, along with counterfeit currency. Osborn’s body was found buried on the Fairview property of Susan Winton Smith, Maresh’s grandmother, on the afternoon of March 26, 2018. Court documents revealed that Osborn died of a gunshot wound to the back of his head. Hudson and Maresh were arrested and charged with murder that evening. He (Maresh) told investigators that on 2/3/2018 he was with Tyler Hudson and Daniel Osborn at his grandmother’s residence. Hudson and Osborn got into some kind of altercation or argument near the shop located on the property. He went inside the shop and a short time later heard two gunshots ring out. Hudson then walked back in and told him he had shot Osborn. He said Hudson then buried the body of Osborn behind the pool area by himself. Maresh said he never participated in the murder or burial of Daniel Osborn. On 3/29/18, Investigator (Joey) Clark learned that Maresh wanted to talk with him again about this case. Maresh was given his Miranda Rights again which he waived and stated that he did not need nor want his attorney present. He told the investigator that he did actually help in the burial of Osborn. He and Hudson went to Lowe’s earlier to purchase shovels to aid in the burial. He further said he told his grandmother that Osborn was buried on her property after an altercation between the three of them where Osborn was shot and killed. Based on her knowledge of the murder and burial of Osborn, Smith was arrested on March 28 and charged with hindering prosecution. She has also been charged with murder in the case. She is currently free on bond. Maresh and Hudson were assigned cash bonds, but both remain in the Cullman County Detention Center.